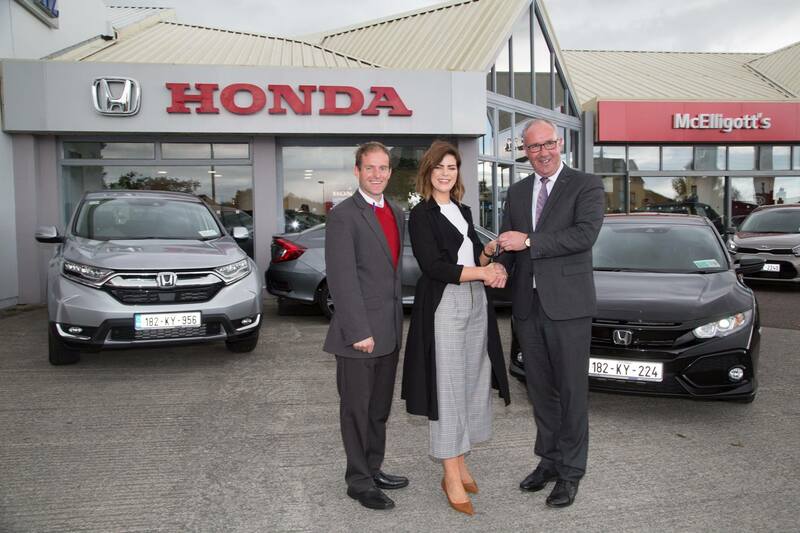 Siobhan Coakley, who came first in the Best Dressed in McElligott's Honda Ladies Day at Listowel Races collects her Honda Civic. Siobhan, the team here at McElligott's wish you happy motoring in your new Honda Civic. To find out more on what happened during our McElligott's Honda Ladies Day at Listowel Races, click here. Pictured (left to right): Martin Mullane, Siobhan Coackley and Donal Lynch.